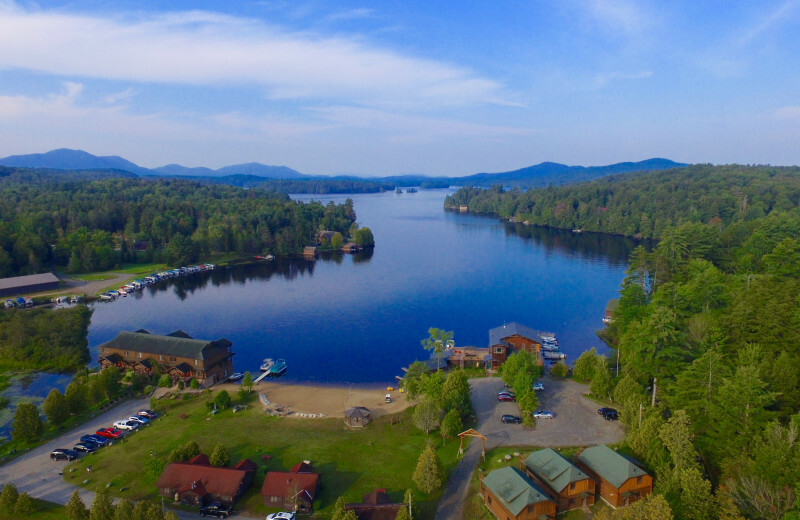 On the glistening shoreline of Lower Saranac Lake in the Adirondack Mountains of New York, Ampersand Bay Resort & Boat Club is home to thoughtfully appointed luxury townhomes, cabins and rustic cottages. 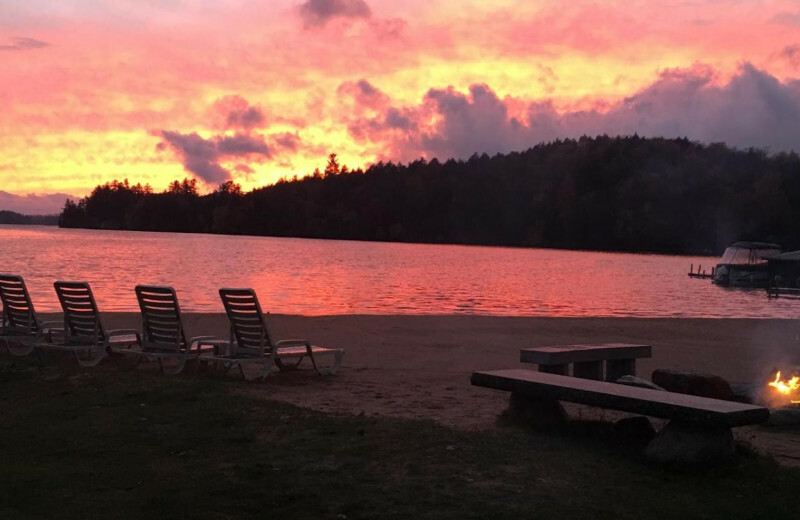 Here, at this three season resort, you'll find the ideal gateway to incredible Adirondack activities, all on site or just minutes away. 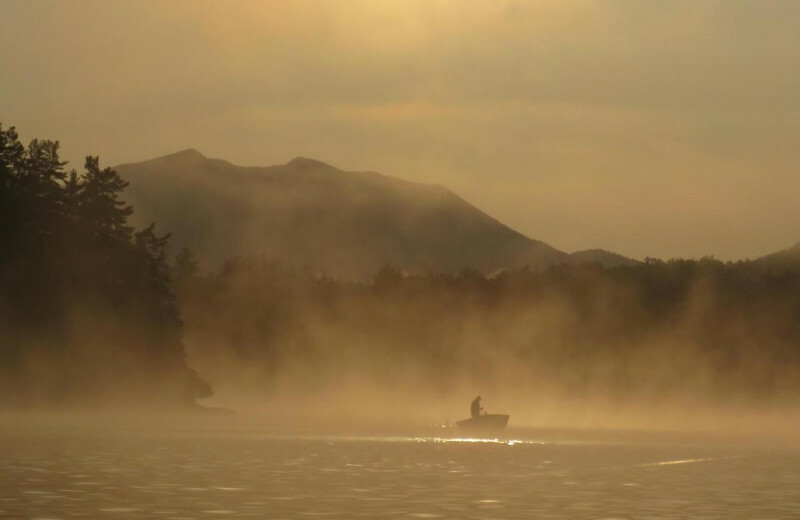 Enjoy free use of their canoes and kayaks and explore the pristine lake waters, or tie up your hiking shoes and indulge in an invigorating adventure through Baker Mountain. Kids will love going on scavenger hunts, paddle-boating, and family picnics at the onsite barbecue pit. 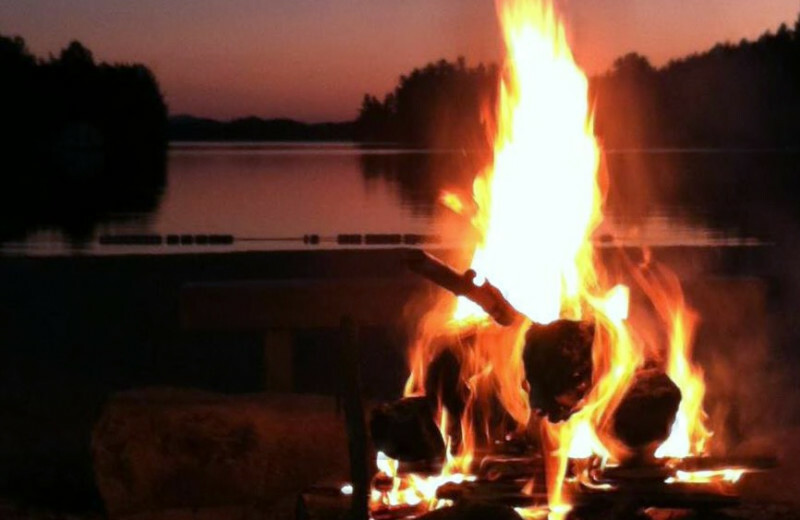 Plus nightly campfires offer families a chance to unwind together at the end of the day! With so much to do, Ampersand Bay Resort is the perfect destination for your New York vacation! 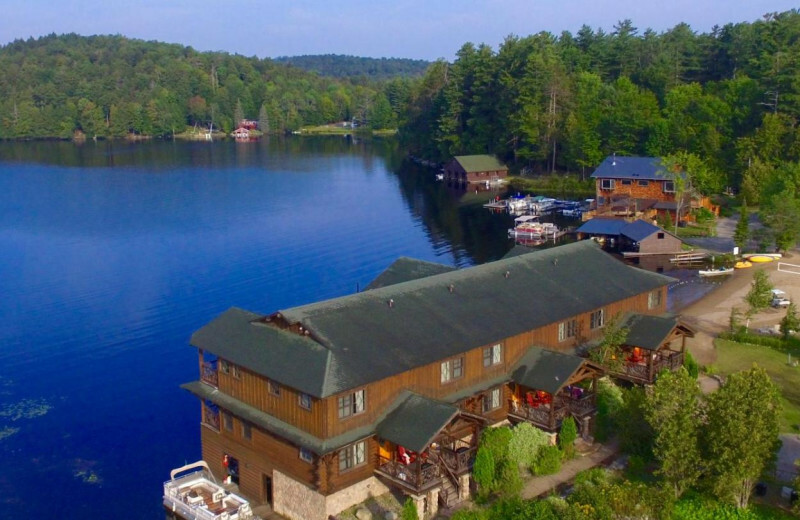 Ampersand Bay Resort is located right on Saranac Lake in New York. 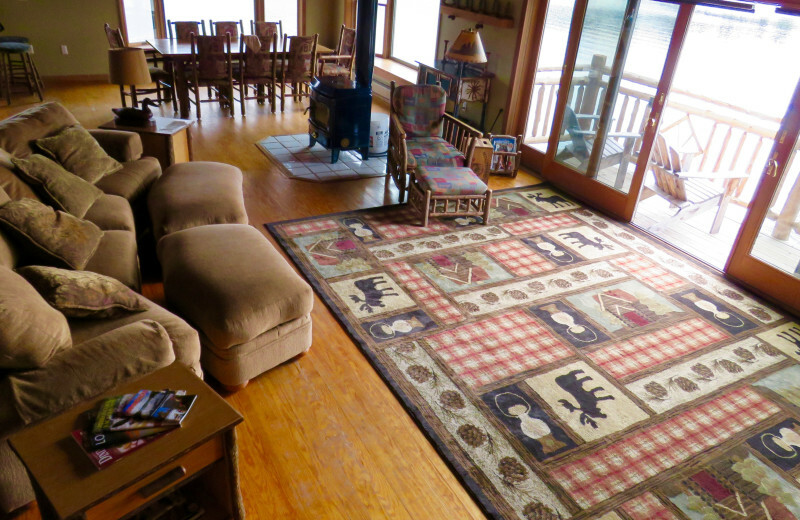 While you're hear, enjoy canoeing and kayaking or just laying out on the shores. This serene setting is the perfect destination for you and your group to relax. Splash all day in the water, or just enjoy the views. The choice is yours on your next New York vacation. Bring the family together for a fun and exciting time at the Ampersand Bay Resort & Boat Club. 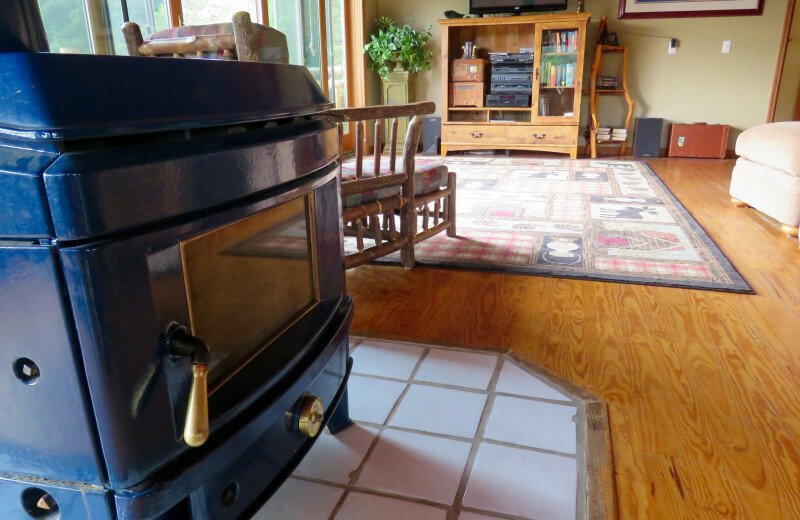 Listen to your children giggle and squeal as they explore the loft in one of the rustic cottages, roast marshmallows at the evening campfire, or explore nature through a scavenger hunt on our trail system. 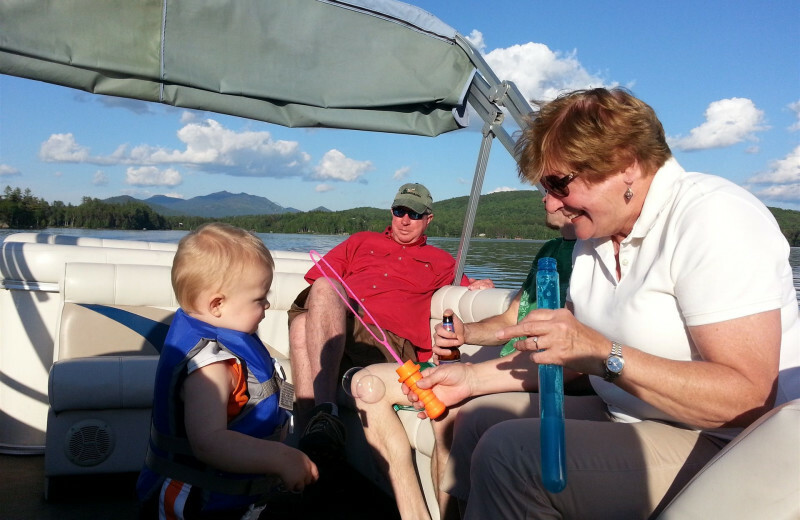 Children are not only welcome here, but are catered to in every way by the friendly staff! 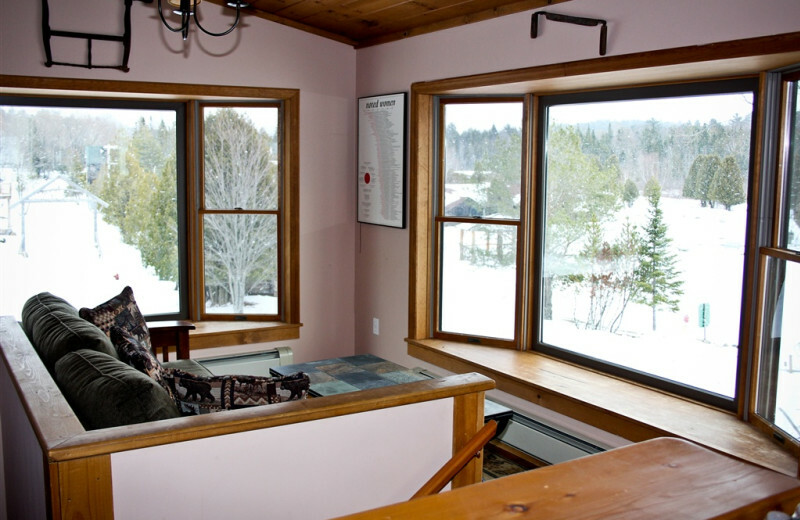 The Saranac Suite at Ampersand Bay Resort & Boat Club is a great place for a meeting or gathering for up to 40 people. 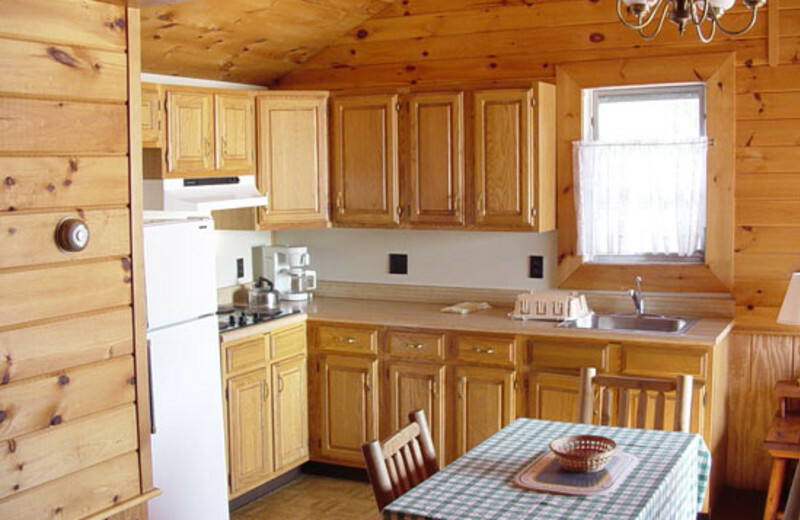 Kitchen facilities are available for preparing a mid-day snack or a full meal, and there is plenty of parking available fore everyone in your group. Make your next corporate retreat a memorable and inspiring one. 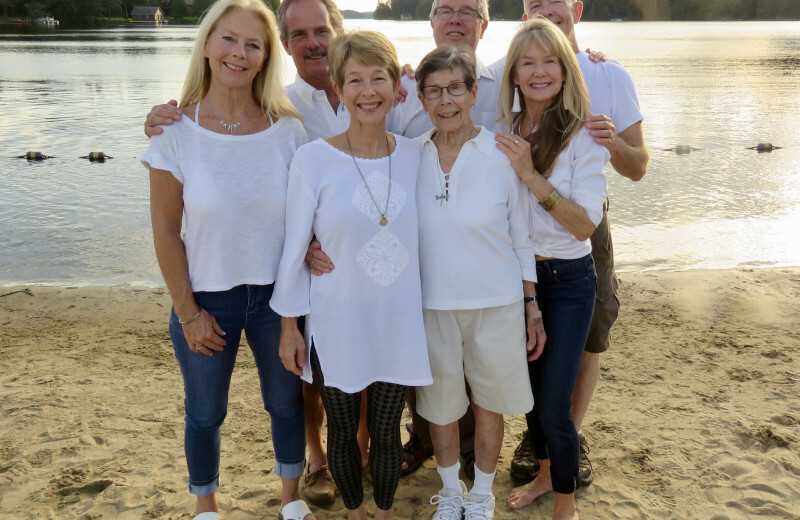 The fresh Adirondack Mountain air and prime location on the shores of Lower Saranac Lake make Ampersand Bay Resort & Boat Club the perfect spot for family reunions. 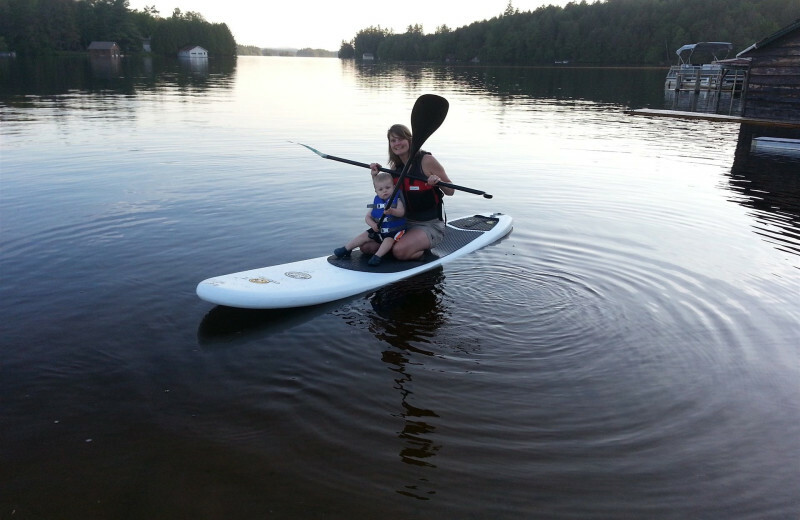 Here, you can enjoy quality time with your siblings and cousins, aunts and uncles, as you play games of volleyball, explore the lake on a canoe, or spend a day fishing. 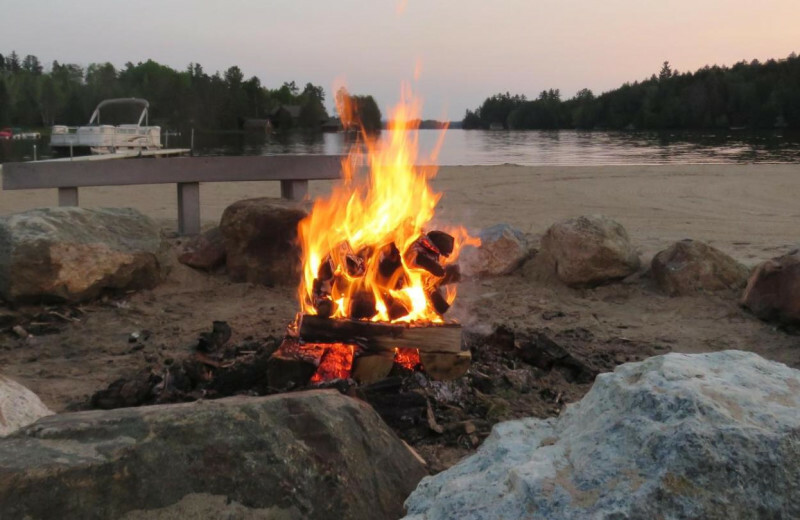 Scavenger hunts and campfires are great for the kids, plus surrounding trails are available for a group hike! 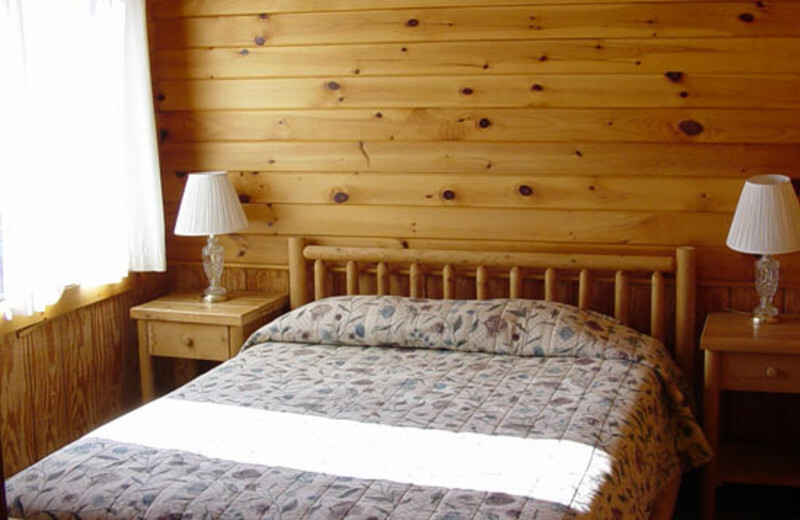 The resort's cozy cabins and cottages offer all the room you need for a comfortable stay! 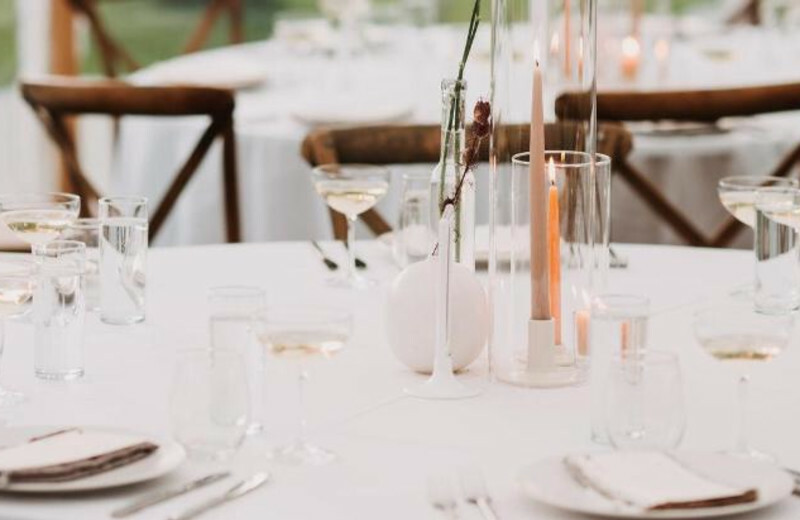 Weddings at Ampersand Bay Resort are more than just a ceremony, it's an event. 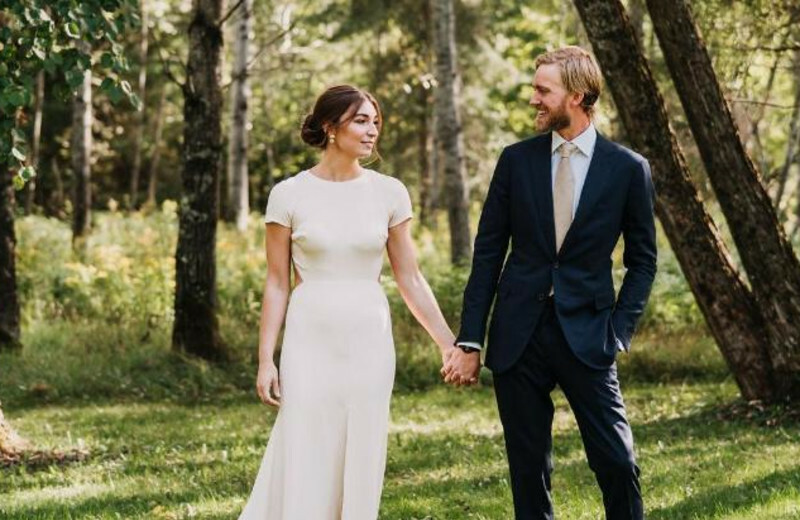 Here you'll find a thousand feet of beautiful waterfront on the Lower Saranac Lake, an attentive staff ready to help plan your celebration, and a variety of lodging options for your guests. 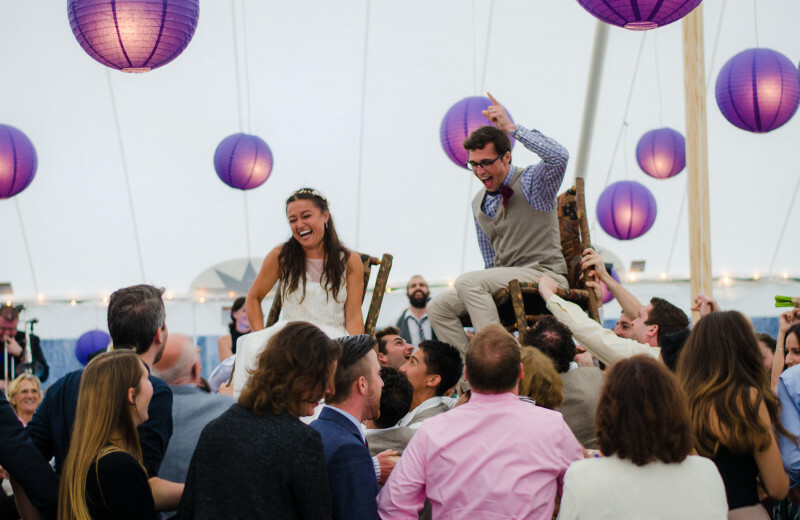 Ampersand can make your wedding a weekend-long event, with a rehearsal party and barbecue on Friday night, a beach or gazebo ceremony on Saturday, and a departure brunch on Sunday. 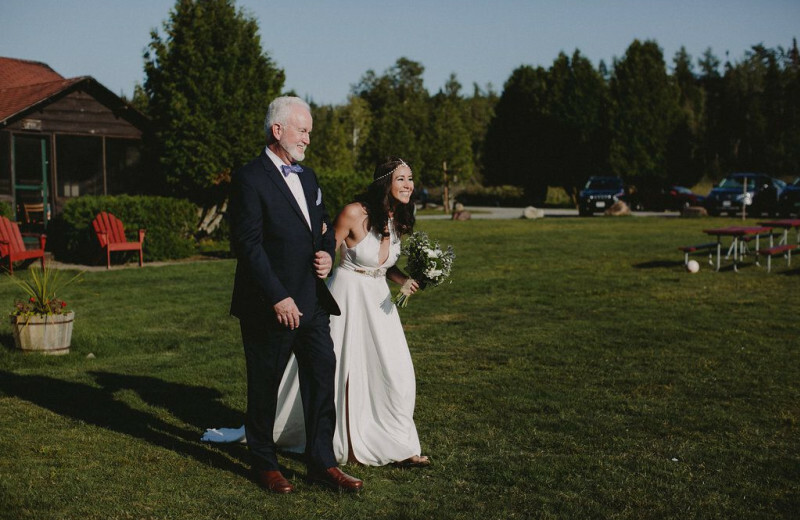 Let their professional staff assist in making your dream wedding a reality today! 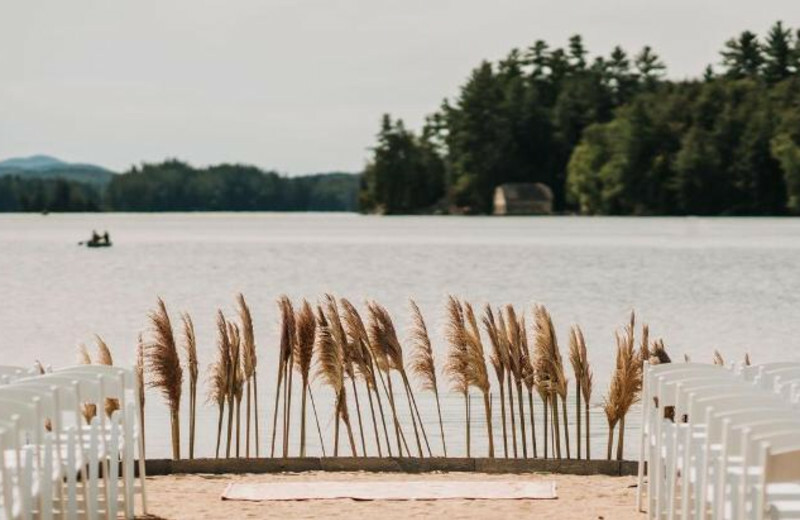 Truly the gateway to the wilderness, Ampersand Bay Resort is at the threshold of six million acres of pristine forest preserve. As the largest forest preserve in the lower 48, you can enjoy seeing the wildlife firsthand, or by visiting one of our wonderful area museums and outdoor recreation centers where guides and naturalists await you. 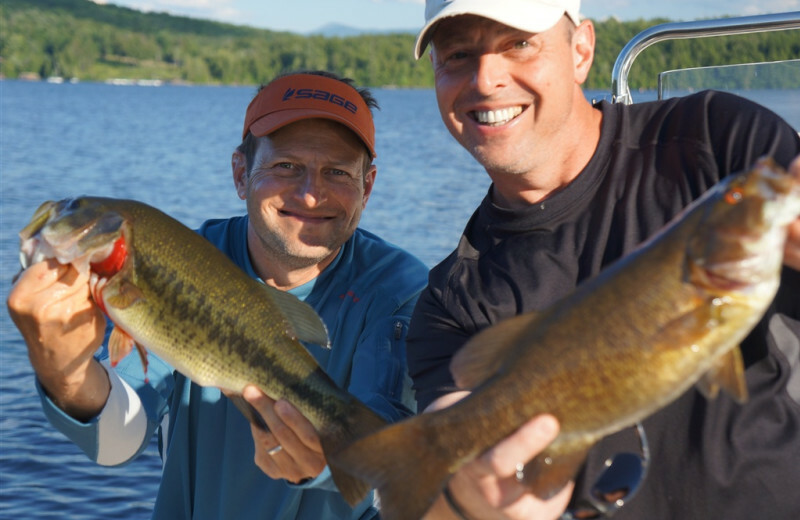 Home to ESPN's Outdoor Games' Bass Fishing Tournament three years in a row, the Saranac Chain of Lakes is the place to be for catching trophy-sized bass, pike, and bullhead. Ampersand By Resort & Boat Club's numerous docks situated on Heron Creek are the perfect spots to sit back, relax, and wait for the big one! Sometimes you just need to get away from it all and focus on what's most important- each other. 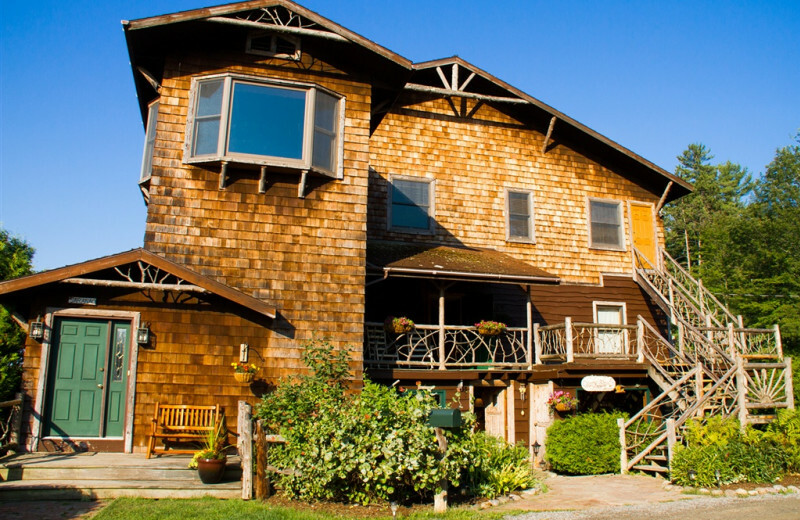 At Ampersand By Resort & Boat Club, you and your sweetheart will discover charming accommodations, breathtaking scenery, and plenty of activities that let you spend quality time together. 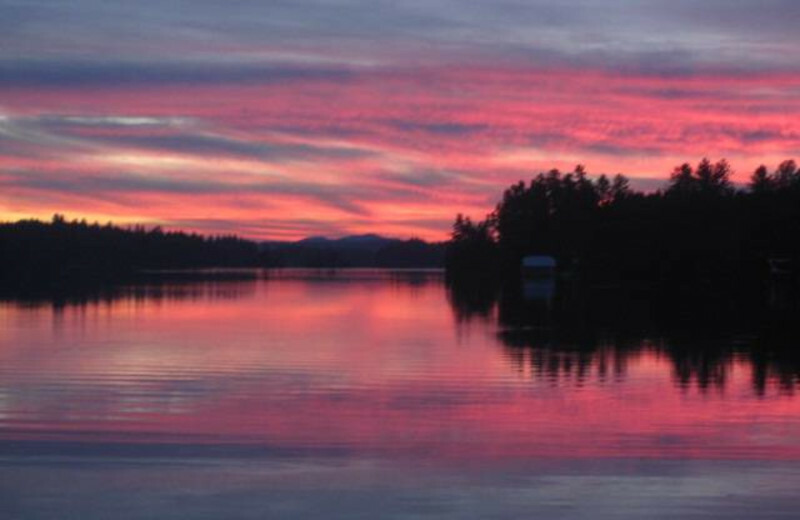 Whether you decide to explore the Adirondack Mountains or kayak the water of Lower Saranac Lake, you and your loved one are sure to find something just right for you. 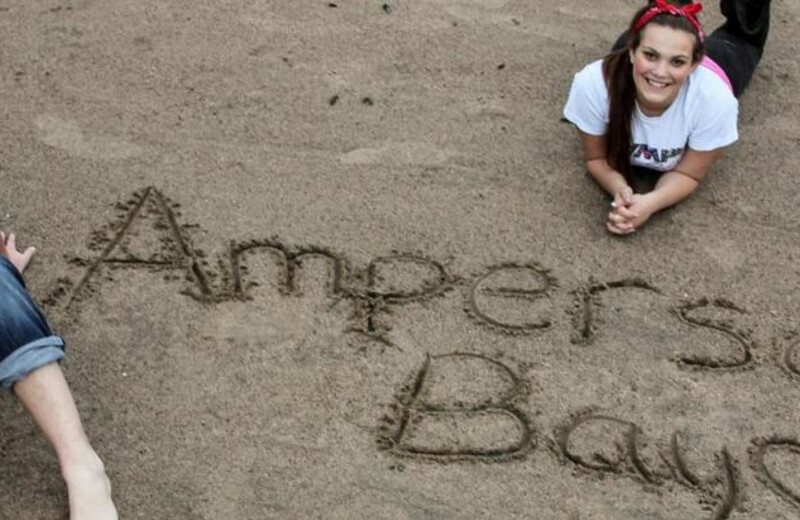 Don't leave any member of the family behind when you stay at Ampersand Bay Resort! 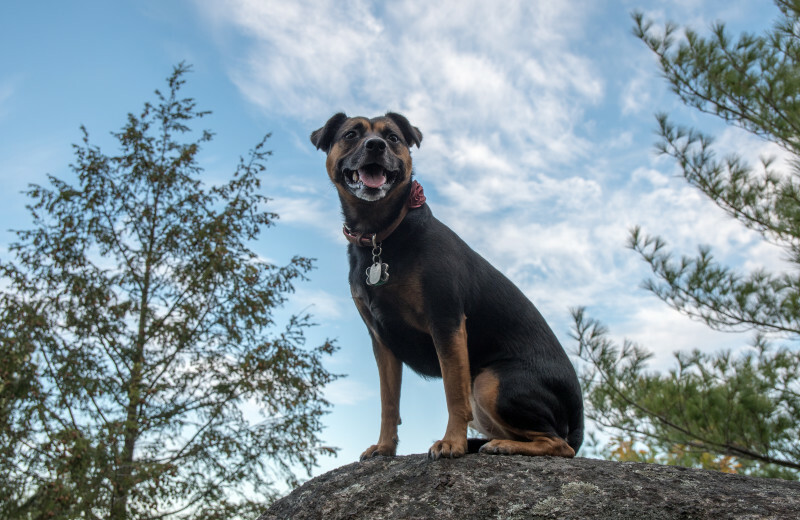 With pet-friendly accommodations, this Adirondacks destination ensures you can enjoy a fun-filled vacation with your four-legged companion. 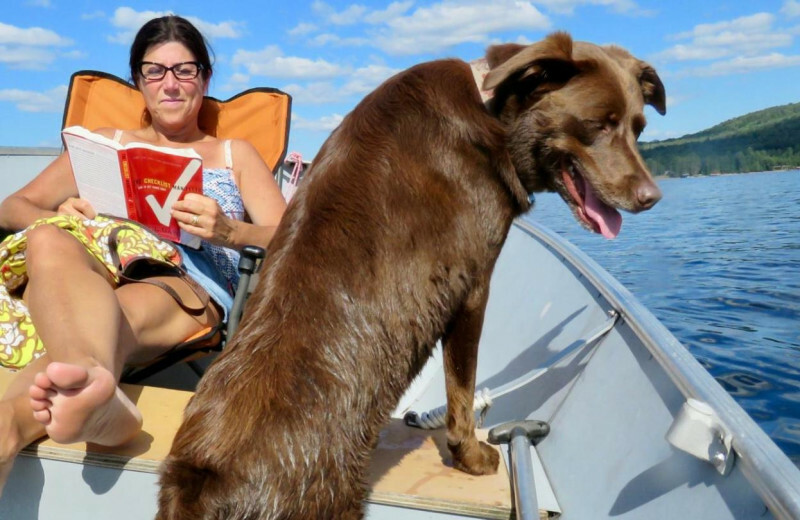 Pets are sure to love exploring the hiking trails, or simply lounging with you on the beach! 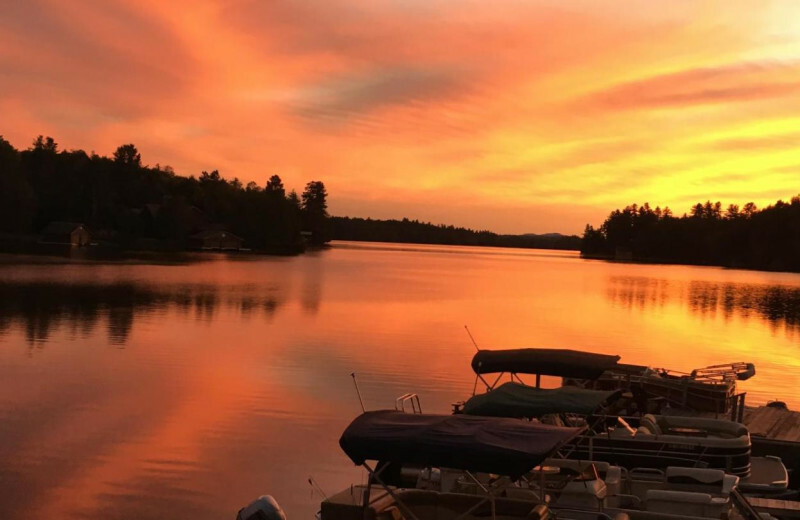 In the heart of the Adirondack Mountains, with direct access to the forest preserve, Ampersand Bay Resort gives their guests the opportunity to view nature at its finest. 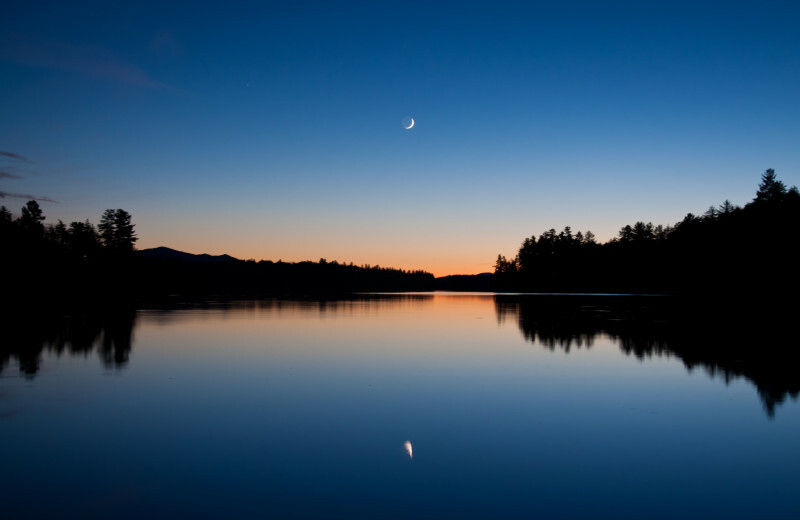 Enjoy bald eagles, the call of the loons, bright starry nights, and more in a six million acre wilderness! 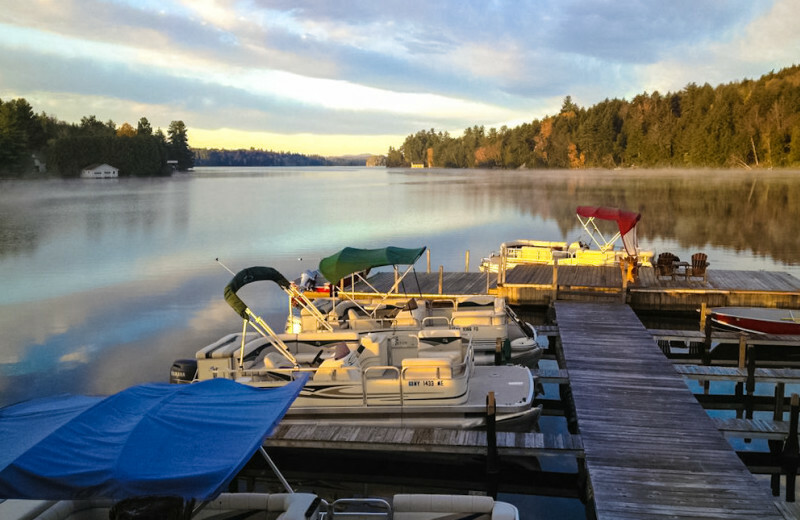 Ampersand Bay Resort & Boat Club offers you a luxurious getaway in the heart of the Adirondacks. 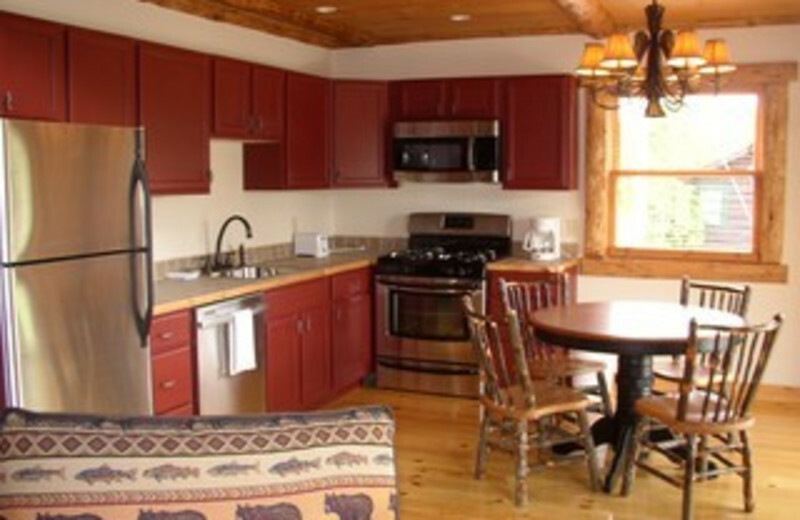 Choose from a variety of spacious waterfront suites, cabins, and cottages for your stay. 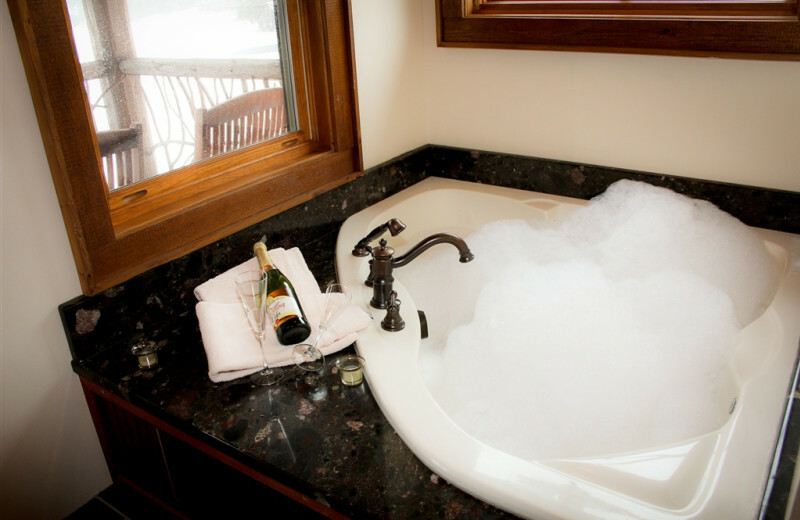 Accommodations feature amenities such as jacuzzi tubs, fireplaces, kitchenettes, BBQ grills, and much more. On site you'll find a marina with boat rentals, canoes, and kayaks, a beach volleyball court, fire pits, and surrounding trail system. With so much to offer without ever leaving the property, Ampersand Bay Resort is the ideal place for your New York vacation. 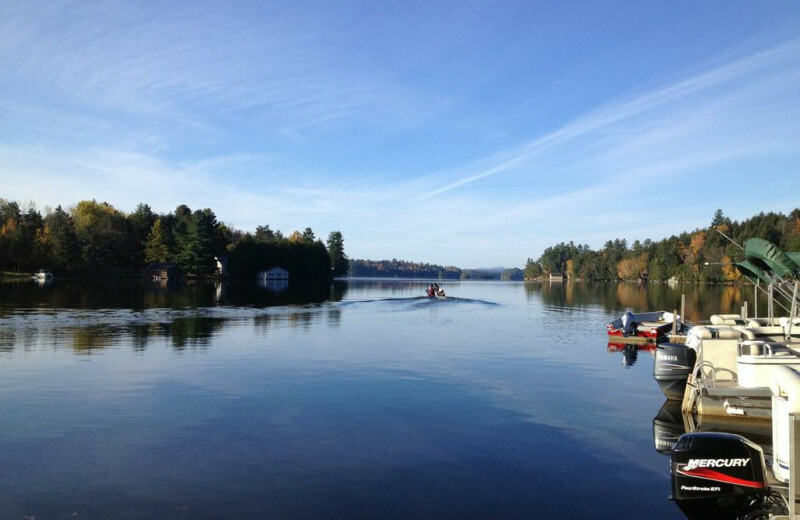 Located in the heart of the Adirondack Mountains, Ampersand Bay Resort & Boat Club is the perfect mountain vacation. Enjoy the incredible views from your private cottage, but don't forget to go out and explore as well! 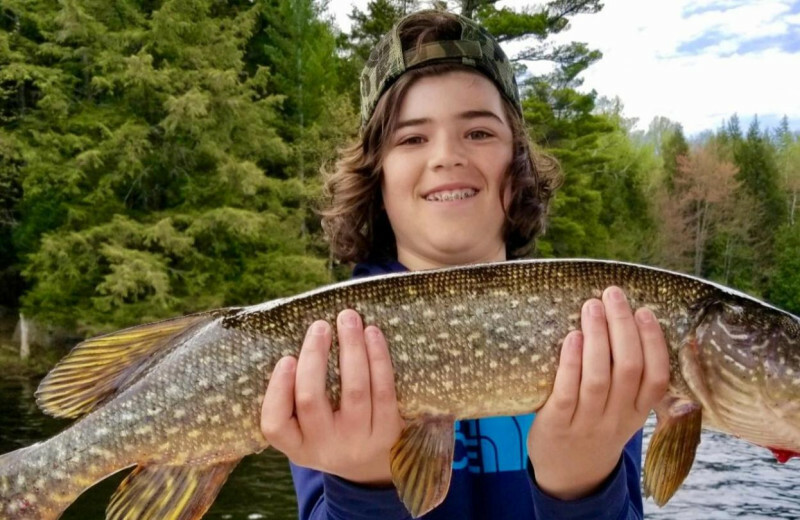 Invigorate yourself with a challenging hike on the resort's trail system, spend a day fishing for large smallmouth bass, northern pike, perch and more, or discover the foliage of the area on a nature scavenger hunt. 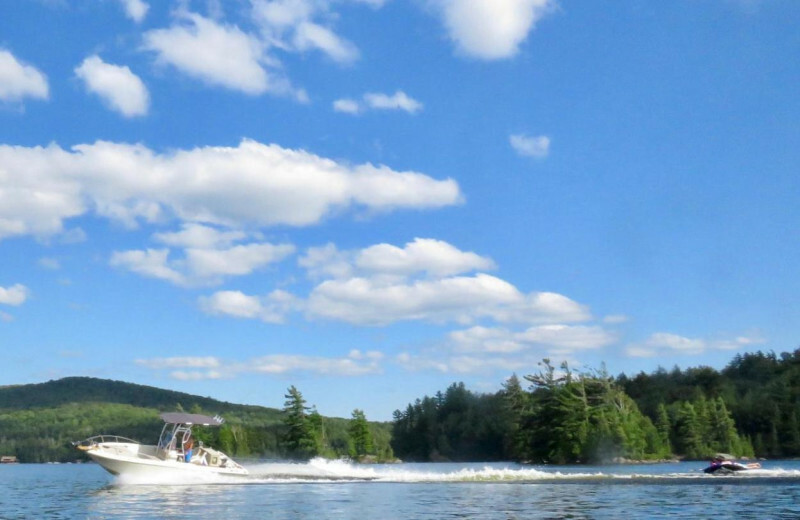 Ampersand Bay Resort's ideal lakeside location and extensive amount of water sports equipment make it the best choice for lodging on Lower Saranac Lake. Rent a motorboat from their marina, or take out a complimentary canoe, kayak, or sailboat for a quiet day of wildlife watching. The refreshing, natural air is sure to soothe your soul and let you enjoy quality time with your family, friends, or loved one! 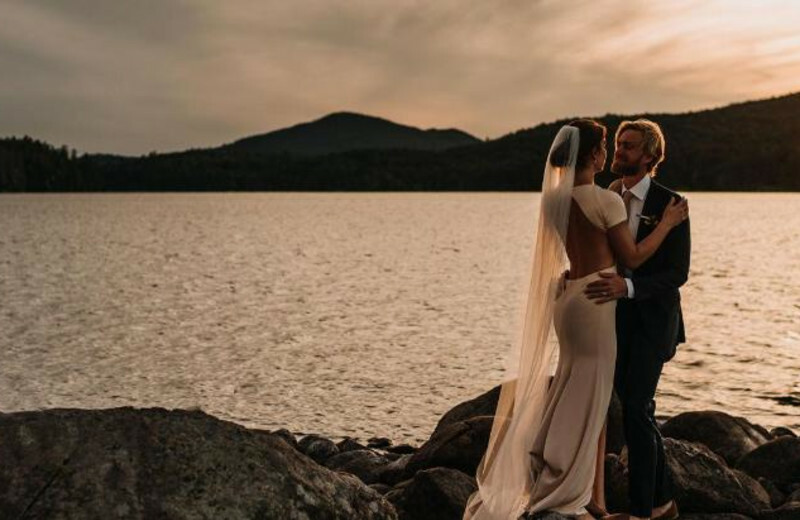 Enjoy a honeymoon setting set on Saranac Lake with views of the Adirondack Mountains in the background when you stay at Ampersand Bay Resort & Boat Club. Enjoy waking up each morning and going for a romantic canoe ride. Afterward, lay out on the shores of the lake and begin talking about the rest of your lives together. 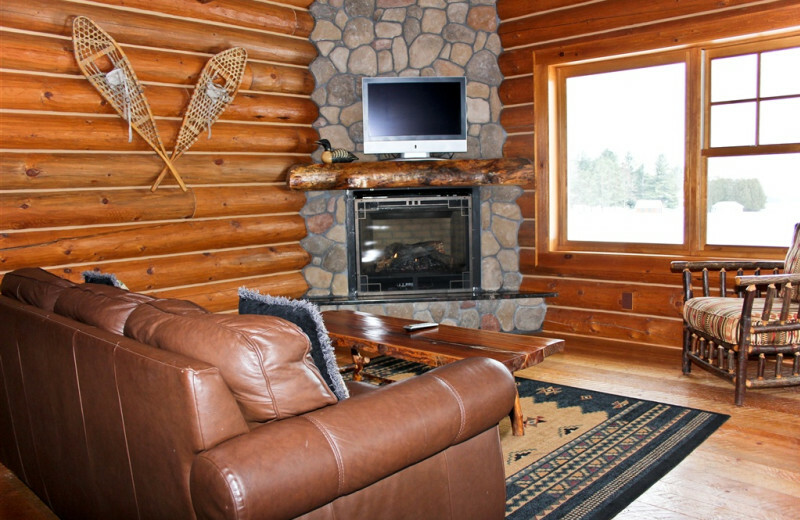 At night, retreat to your cozy cabin with your new spouse. 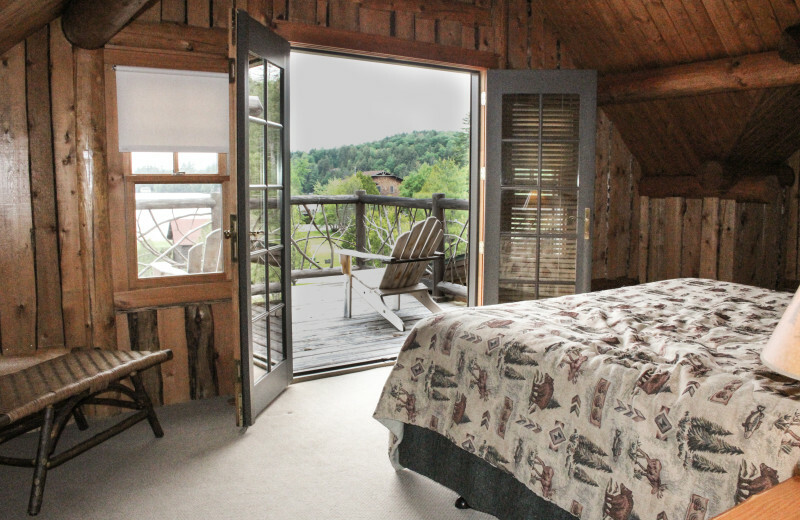 Wake up to dramatic mountain and lake views from one of Ampersand Bay's cozy accommodations. 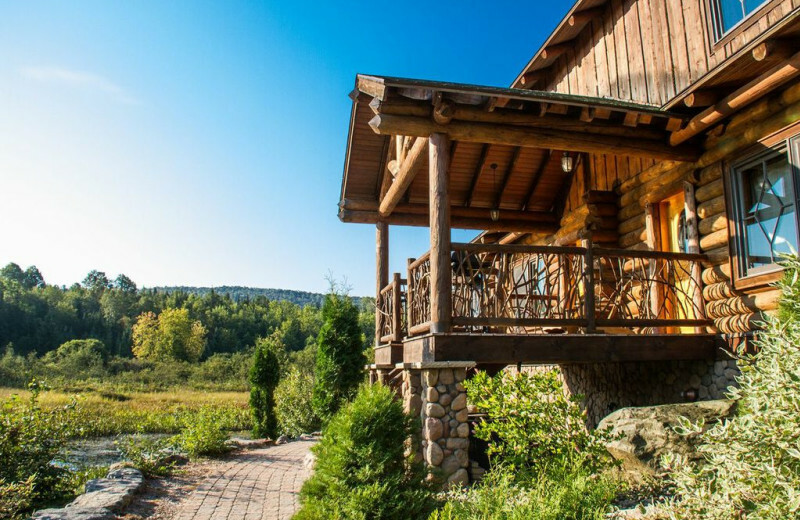 Hand-hewn cedar log cabins, lakefront suites, and cottages come with full kitchens and spacious interiors bedeck in Adirondack-style furnishings. Many feature balconies, Jacuzzis, and screened porches. 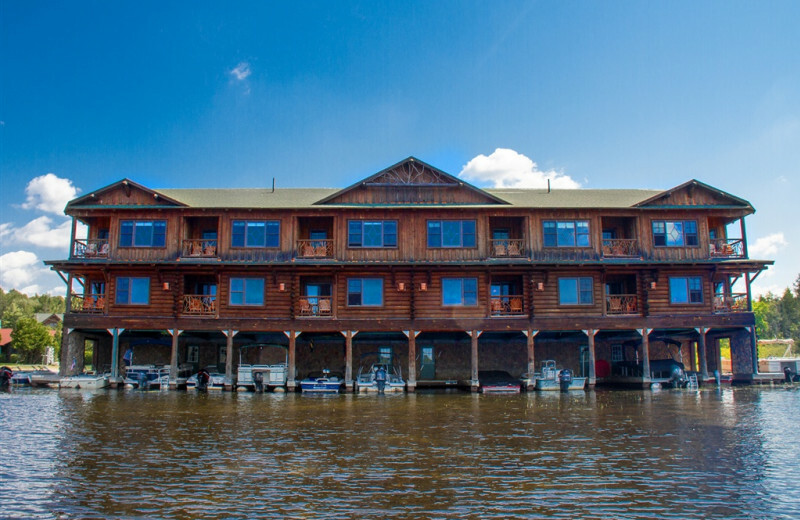 On the glistening shoreline of Lower Saranac Lake in the Adirondack Mountains of New York, Ampersand Bay Resort & Boat Club is home to thoughtfully appointed luxury townhomes, cabins and rustic cottages. 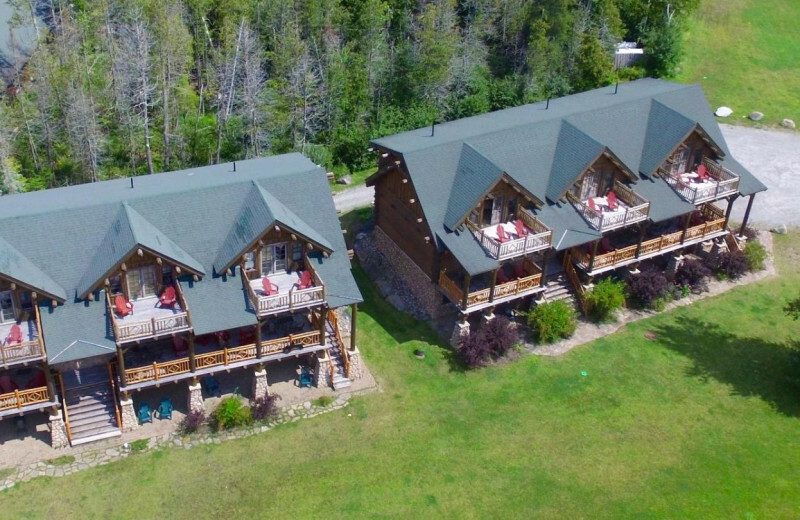 Here, at this three season resort, you'll find the ideal gateway to incredible Adirondack activities, all on site or just minutes away. This is the perfect destination to enjoy the long summer holidays! 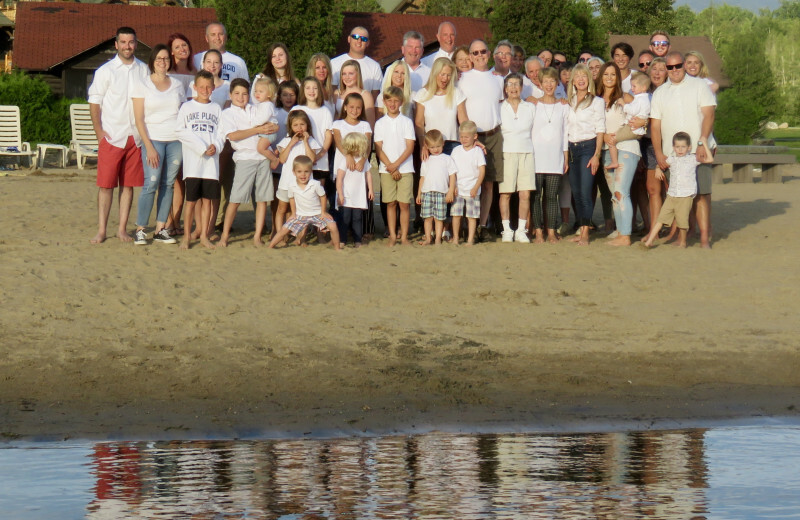 Plan your next group event at Ampersand Bay Resort & Boat Club. Bring your group to Ampersand Bay and soak up the same soothing, rejuvenating atmosphere once enjoyed by famous writers, photographers and composers. Inquire now! For more information please call +1 (866) 452 - 8410 or Send Inquiry. Celebrate the First Day of Summer 2019!!! 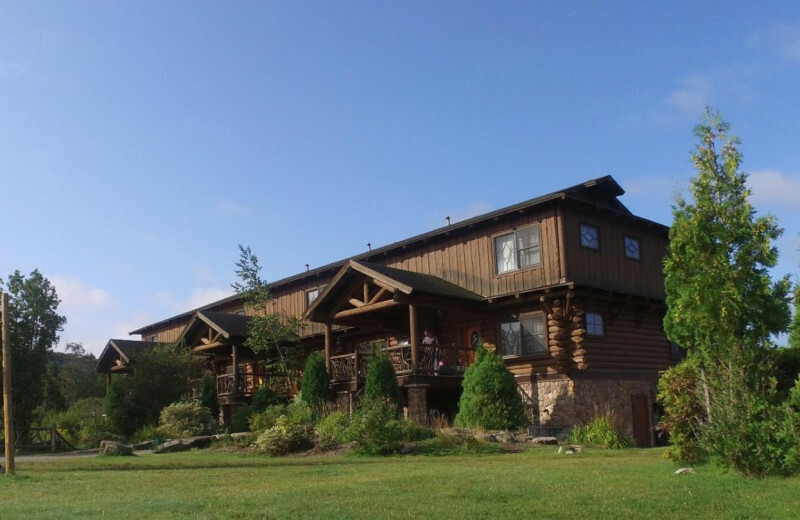 This property is ranked number 2 on Top Luxury Resorts in the Northeast. Read about it here.